This week, Silk Road was shut down for good when the FBI seized the anonymous online marketplace after Ross Ulbricht, aka Dread Pirate Roberts, was arrested. This comes just two weeks after another illegal marketplace called Atlantis shutdown. However, there are plenty of other black markets hiding within the Deep Web, freely and anonymously accessible using the Tor browser. Ulbricht's bust is said to come from operational security mistakes, where he used his real name in an email address when communicating with developers about Bitcoin, the main currency used for buying drugs, weapons, and forged documents on Silk Road and other black markets. This means that the seizure and shutdown was not a result of a security breach in Tor, but to plain sloppiness on Ulbricht's part, which is why Silk Road sellers have already found new homes in lesser known marketplaces across the Tor network. 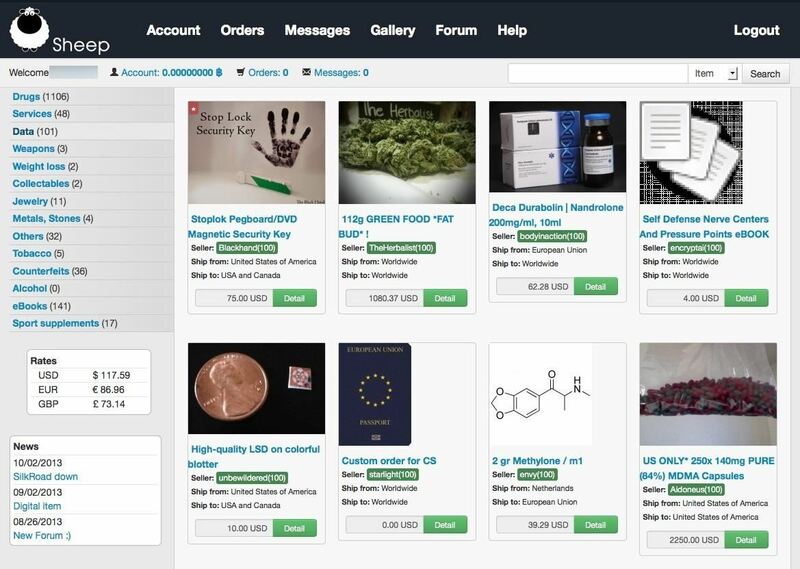 So, if anyone is looking to buy some cannabis, 3D printed gun files, or Walter White-style blue crystal meth, these online black markets are their best bet. Just remember, these are all accessible using the Tor browser, which cannot help anonymize anybody if they use legal names, use VPNs subject to subpoena, or provided personal info to other services. Nor should they install plugins or open downloaded documents when still connected online, among other things. First up is the Black Market Reloaded, the second biggest black market online with monthly sales of over $700,000 recorded. 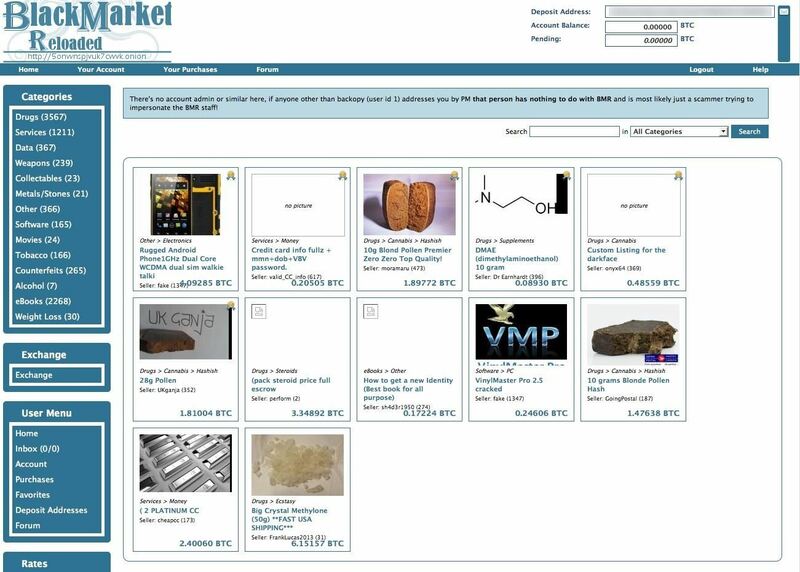 In addition to selling illicit drugs, counterfeits, shady services, and stolen goods, BMR also sells weapons, something Silk Road used to do before removing the option. Yesterday, BMR was not accepting new members, but they have opened up the floodgates today. Another option is the smaller Sheep Marketplace, which also sells everything BMR pretty much does. You know, your standard black market merchandise. 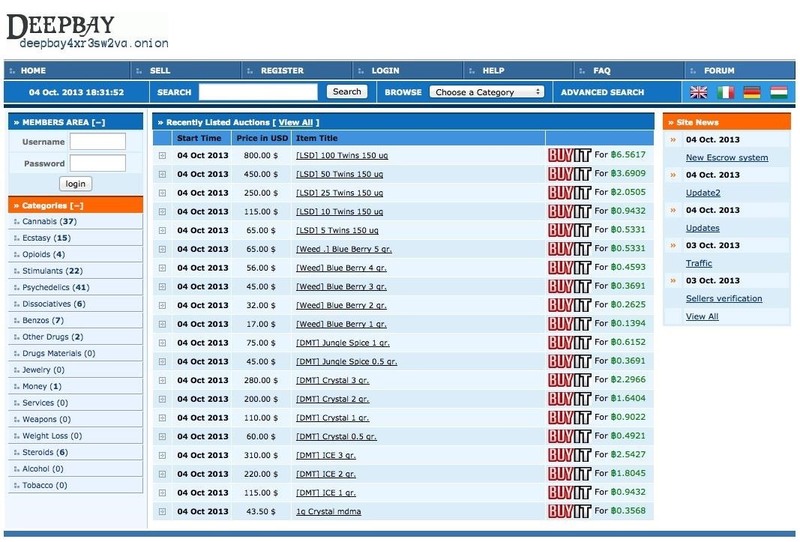 The smallest option out there right now is probably DeepBay, which opened sometime earlier this year. The offerings are pretty slim, but it's said to have garnered 3,000 new members since the shutdown of Silk Road, so listings are sure to rise. Those are just the biggest three options, but there are plenty more black market shops on the Deep Web, mostly for illegal drugs, as you can tell from below. EuCanna - Medical-grade cannabis, other marijuana-related items. NLGrowers - Coffee shop grade cannabis (from Netherlands). DeDope - Weed and hash (from Germany). Peoples Drug Store - Heroin, cocaine, ecstasy, speed, cannabis, etc. BitPharma - Cocaine, speed, MDMA, psychedelics, prescriptions. And that is just the beginning. 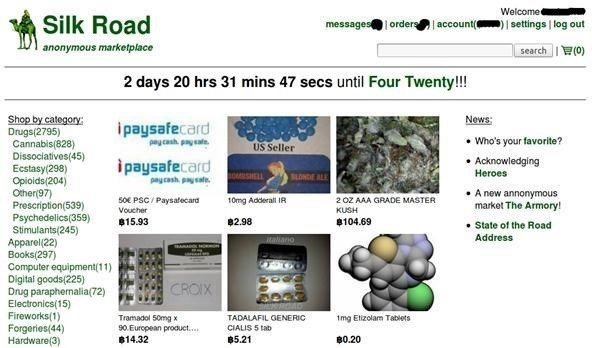 There are many more online shops in the Deep Web, and many more to come. With all the recent busts, you'd expect patrons—and especially sellers—to be wary of joining new marketplaces, but business appears to be booming. Just remember to stay anonymous. For help on that, check out our previous Null Byte guides on Anonymity, Darknets, and Staying Out of Federal Custody and How to Become Anonymous on the Internet Using Tor.